It seems not all analogies about organising skeptics and herding cats are true. A committee of 6 Southeastern UK-based Skeptics in the Pub groups has formed with big ambitions and we want to recruit you. We have lots of ideas about activism, community building and new events and are planning big events. 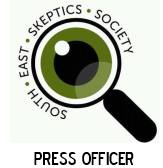 Currently we’re advertising free web-based membership of what we’ve named the South East Skeptics Society (SESS) and we will initially provide a free newsletter to our members detailing our events. We’ll be providing extra benefits to our members by way of rewarding your visits to our members’ groups, discounts on books and other merchandise and we ultimately aim to foster an active and thriving community of skeptics. But that’s not all! We’re starting work on various campaigns to spread awareness of skepticism and critical thinking in Surrey, S.E. London, Kent, West and East Sussex! Our first goal is to create new Skeptics in the Pub groups in Kent (currently only Royal Tunbridge Wells) and then branch more into Surrey.